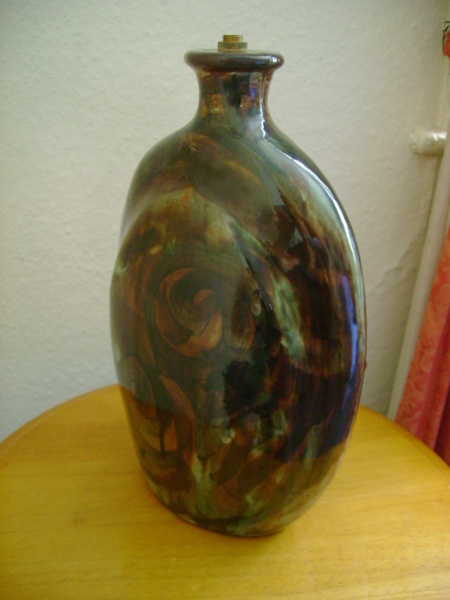 Quite an old lamp base, maker unknown. This does have some age, I removed the fitments when I first purchased it (some time ago), they were filthy with years of dust. 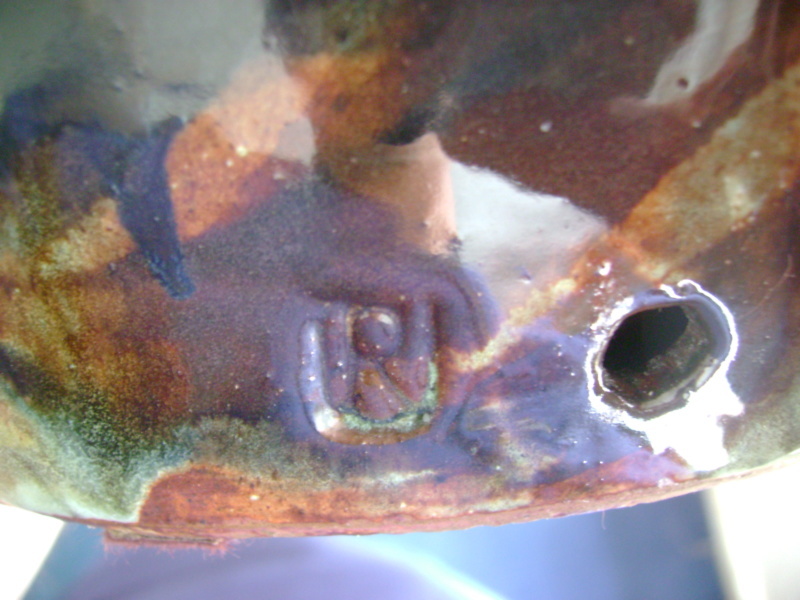 There is a clear impressed mark to the earthenware body, any ideas as to who the maker is will be much appreciated, thank you. 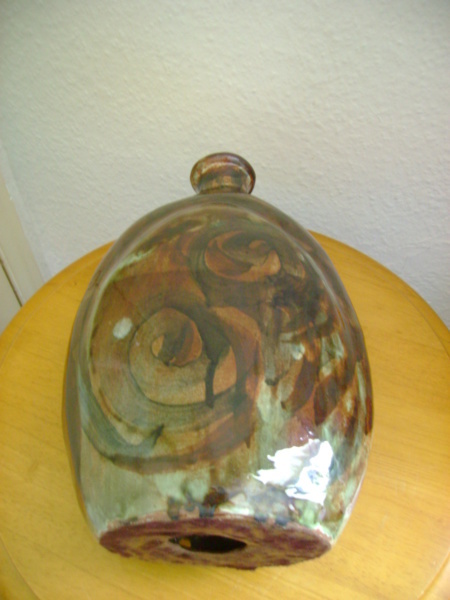 Re: Quite an old lamp base, maker unknown. It looks so like Tremaen, but the mark's not quite right. Yes, there are some strong similarities in the decoration. The shape and neck are typical also. Ironic really, as I can remember when I purchased this, the seller had a fair few lamp bases & a couple of them were the Tremaen harbour / boat bases, amongst others that were not Cornish. This is the one I picked out at the time & as I mention above, it was absolutely thick with dust & dirt, which was why he let me have it so cheaply. Maybe there is a Tremaen connection here somewhere.